A little bit of New Orleans’s music and architecture scene will touch down in Detroit this weekend with a music house’s residency at the Dabls MBAD African Bead Museum. 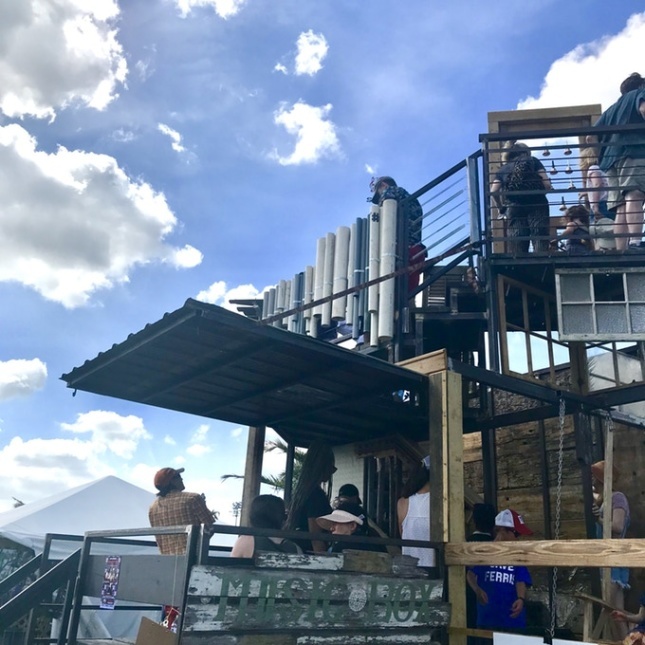 ‘Porch Life’ is a 22-foot-tall mobile touring installation, conceptualized and built by New Orleans Airlift, a nonprofit arts organization. New Orleans Airlift is best known for The Music Box Village, an artist-built sculpture garden based in New Orleans and “a place where play, imagination, experimentation, collaboration, community and hard work come together.” The organization has been using common household architectural features as musical instruments. Porch Life, like other Music Box productions, features 11 musical instruments built into the multi-story home that professional and novice musicians can use. 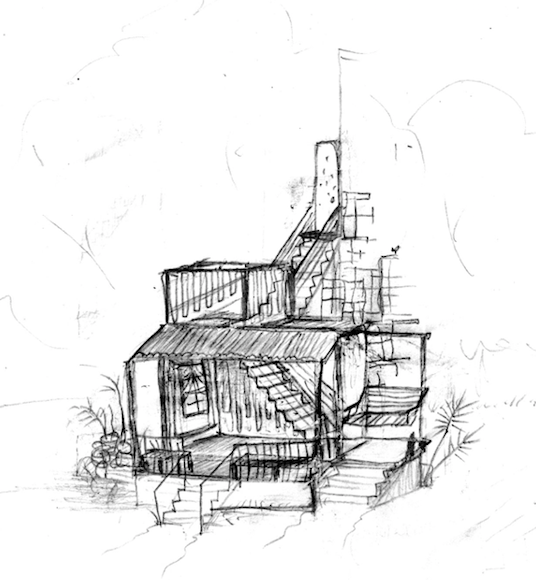 Handrails become harps; windows become percussion instruments; porch swings act as metronomes. It is the first mobile musical home that the organization has created, however, measuring 16 feet wide by 22 feet tall by 21 feet long and weighing 6,000 lbs—a hefty weight for a truck to tow. 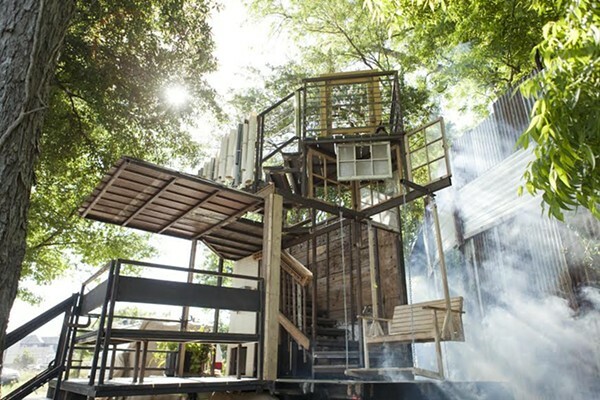 The project originally started off on Kickstarter, raising and meeting its goal of $14,000 to bring the house to life and on the road, hitting New Orleans’s Jazz Fest 2018, the Eaux Claires Festival in Eau Claire, Wisconsin, Detroit, and New York City. It will then return home to New Orleans to be incorporated into the Music Box Village. Fresh from Eaux Claires Festival, Porch Life’s Detroit residency starts at 1 p.m. on Saturday, July 14 and will be open to the public, free of admission until 7 p.m.